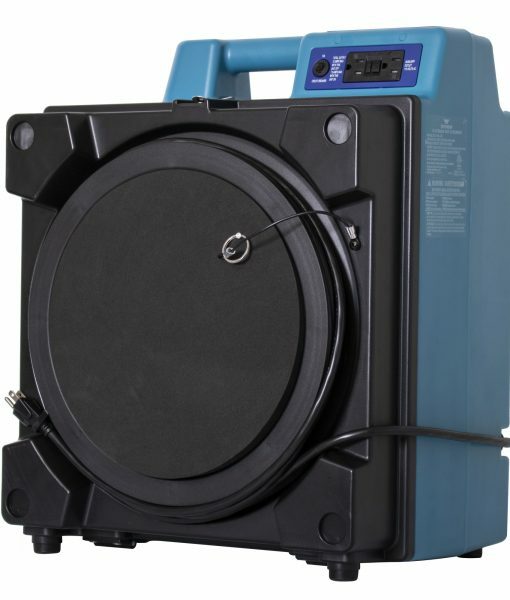 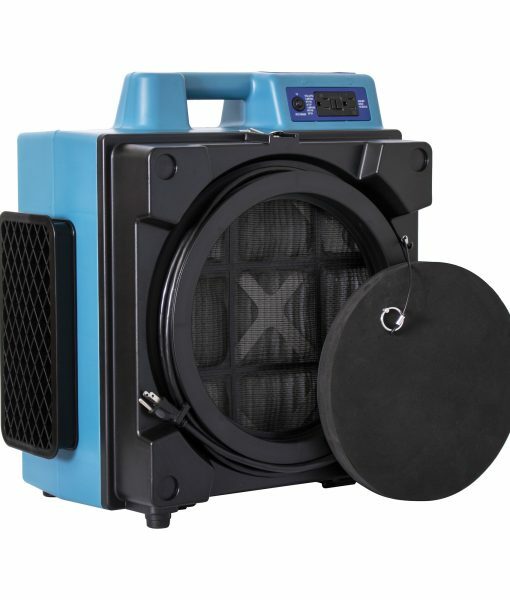 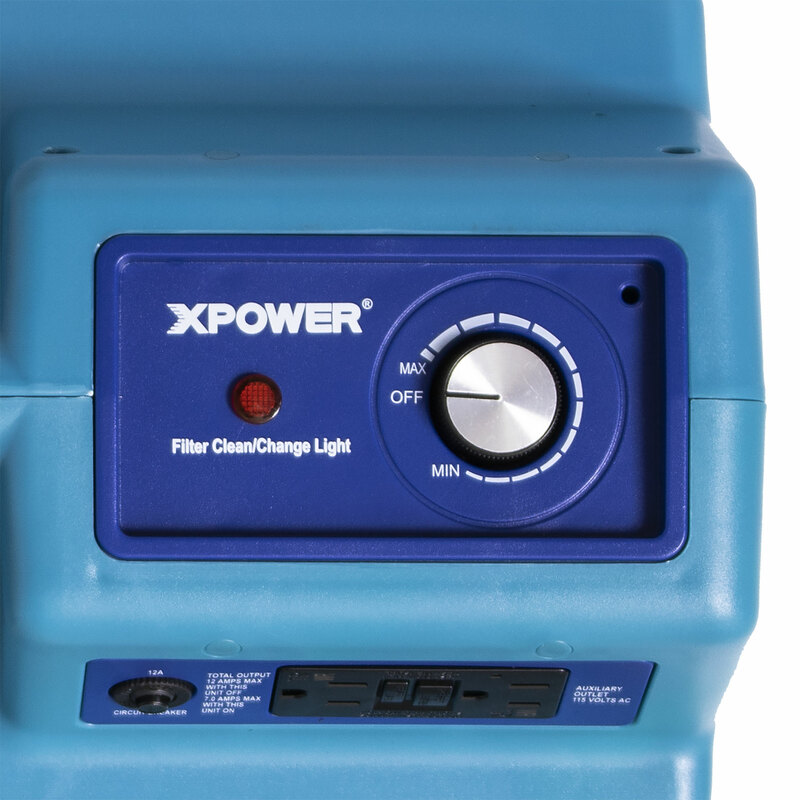 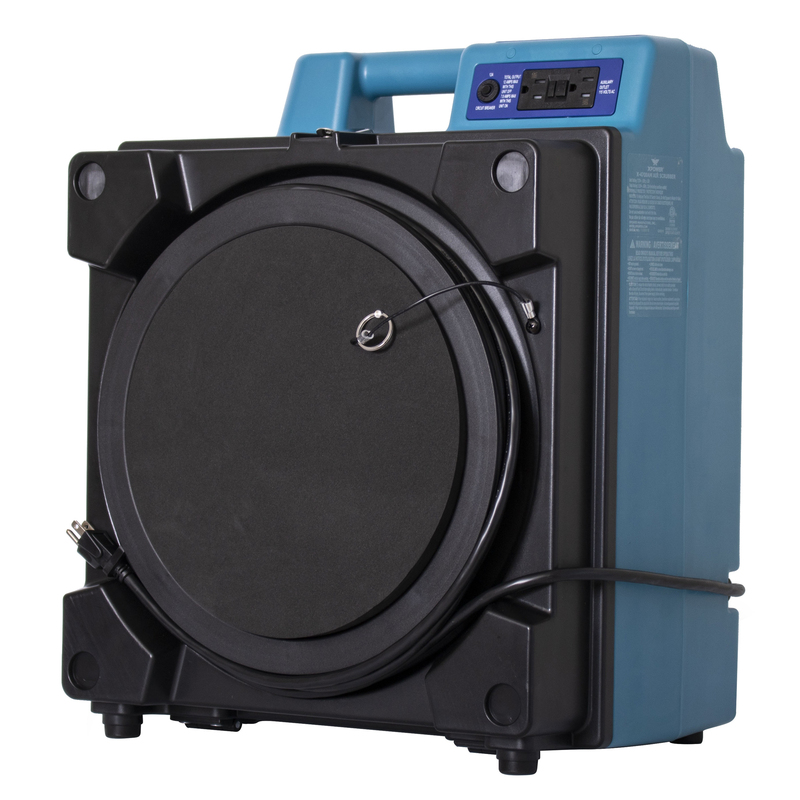 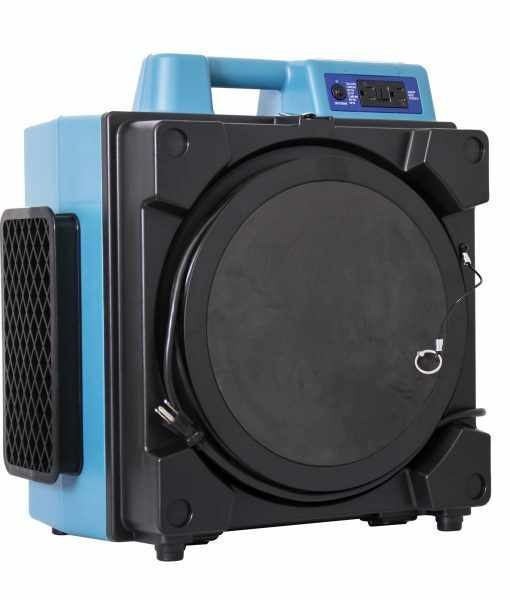 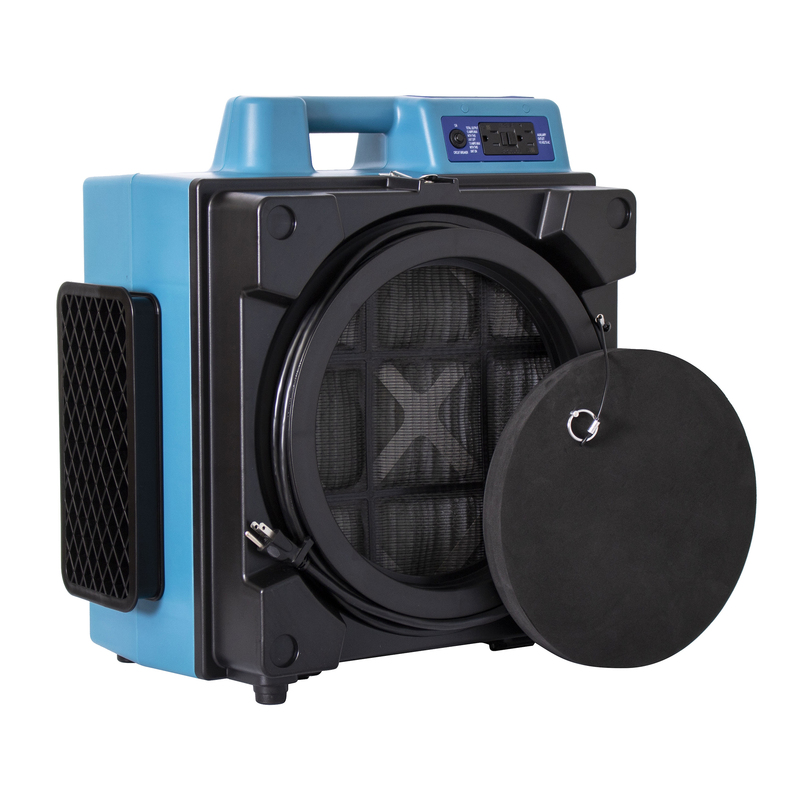 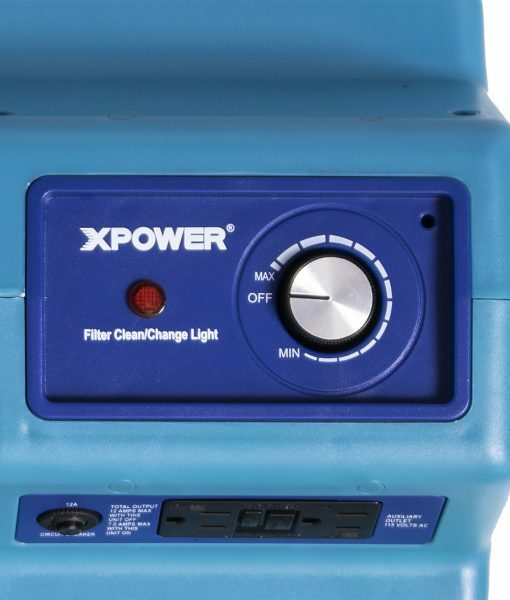 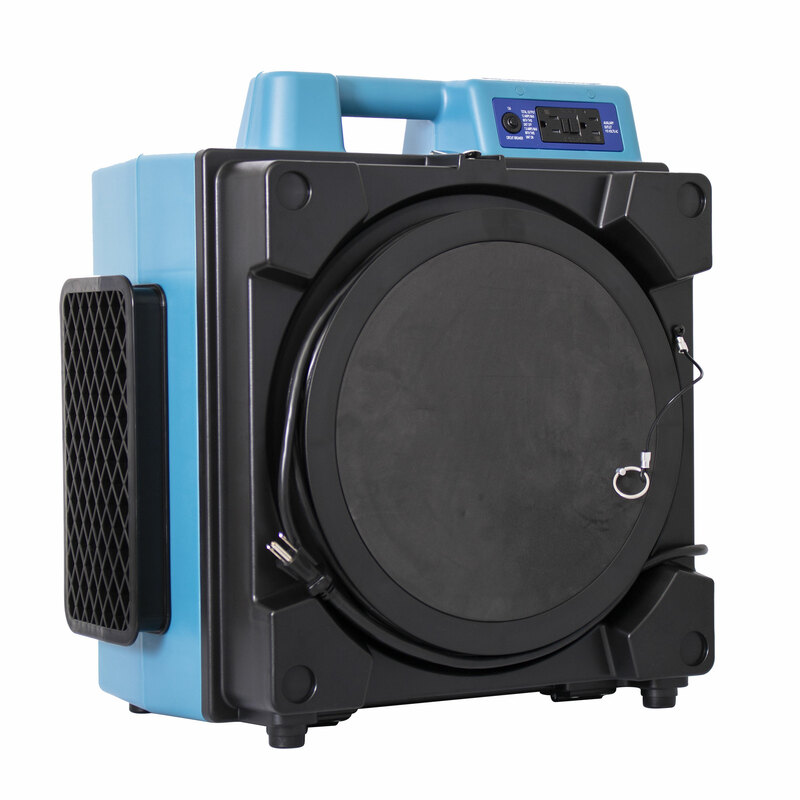 The XPOWER X-4700A 3 Stage HEPA Air Scrubber is a commercial purification system featuring a powerful external rotor induction motor that produces a maximum 750 CFM while drawing 4.5 Amps. 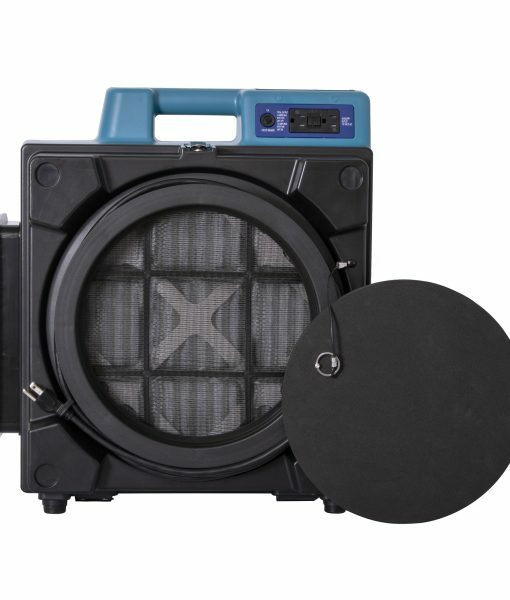 Designed to restore indoor air quality at a variety of job sites, the X-4700A will effectively remove airborne contaminants utilizing its 3 stage filtration technology. 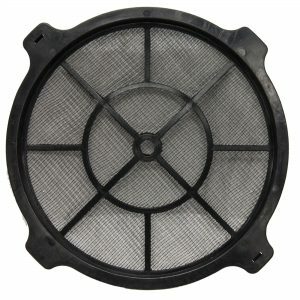 Stage 1 – Nylon Mesh Filter is washable and will help to extend the life of the 2 subsequent filters. 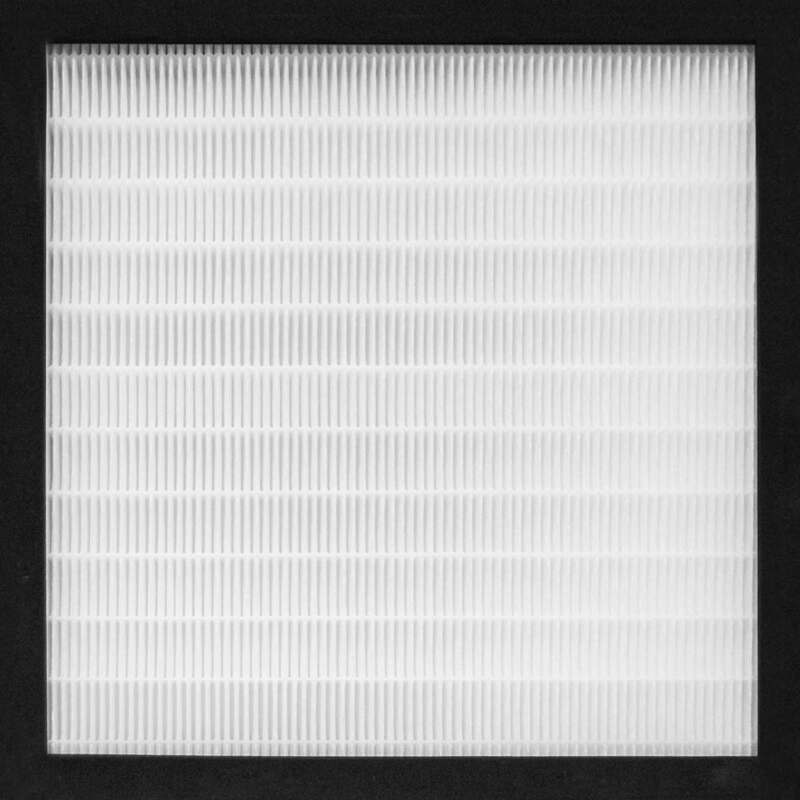 Stage 2 – Pleated Media Filter will assist in removing additional impurities. 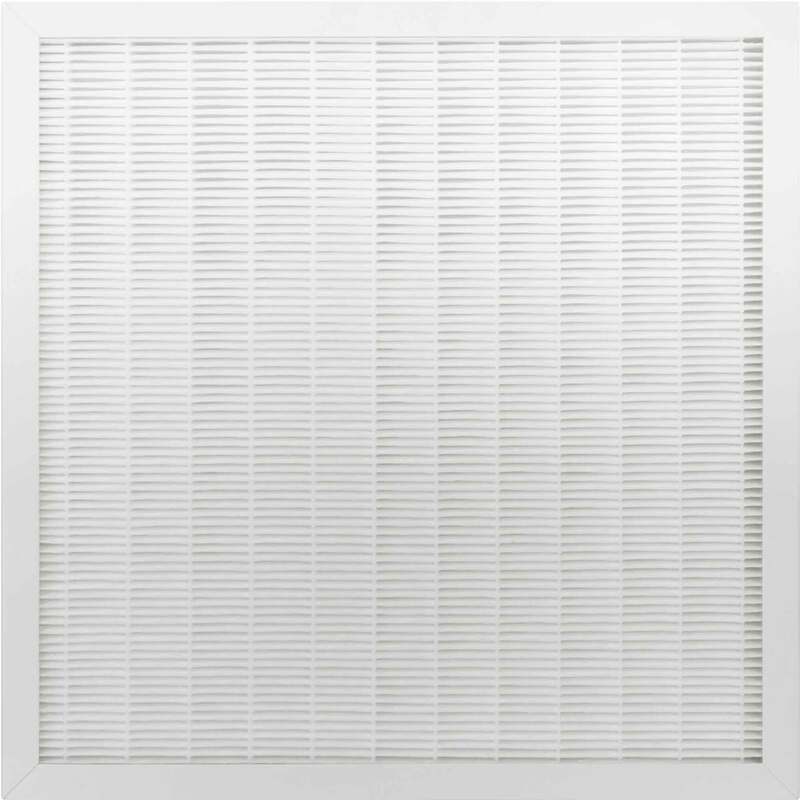 Stage 3 – 2” HEPA Filter will capture contaminants as small as 0.3 microns at an effective 99.97% rate. 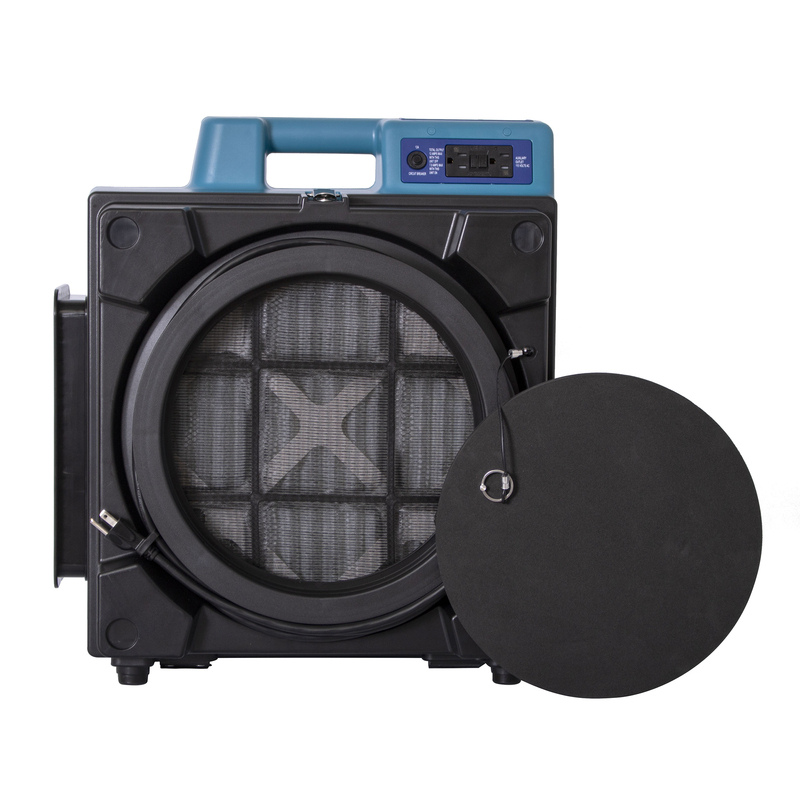 Each X-4700A includes an indicator light that illuminates when the HEPA filter needs replacing. 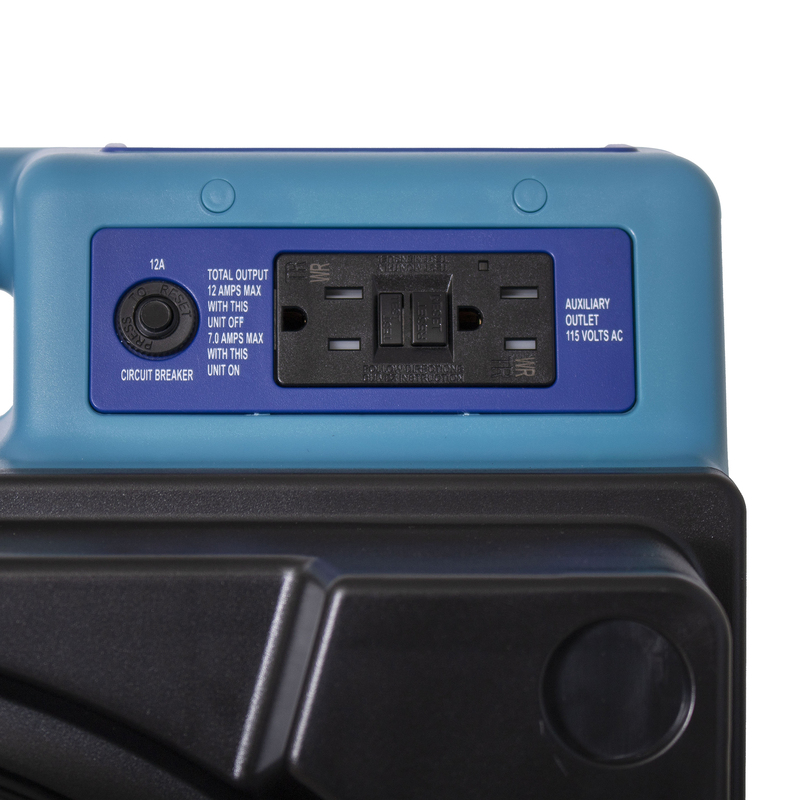 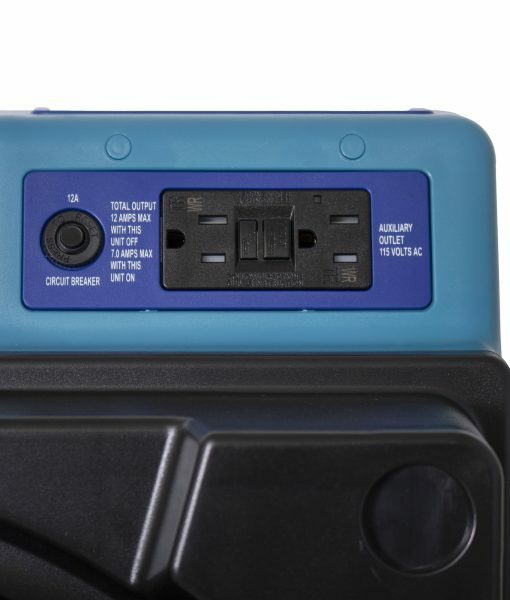 The X-4700A features a variable speed control switch and can be daisy chained with 2 built-in GFCI power outlets. 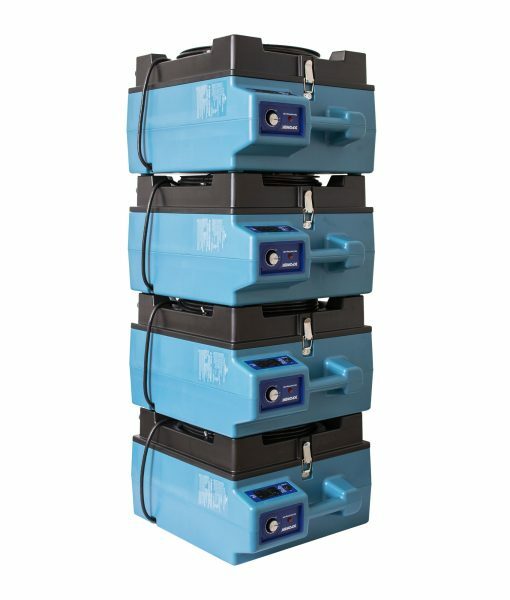 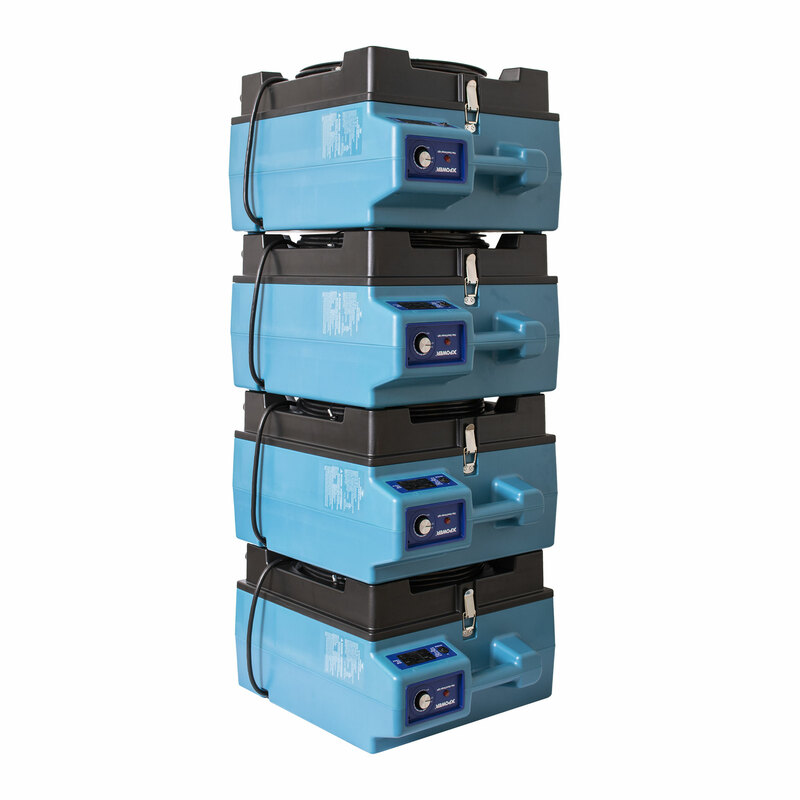 Stackable and lightweight for easy storage and transportation, the attached fitted foam cap will prevent contamination between jobsites and storage. 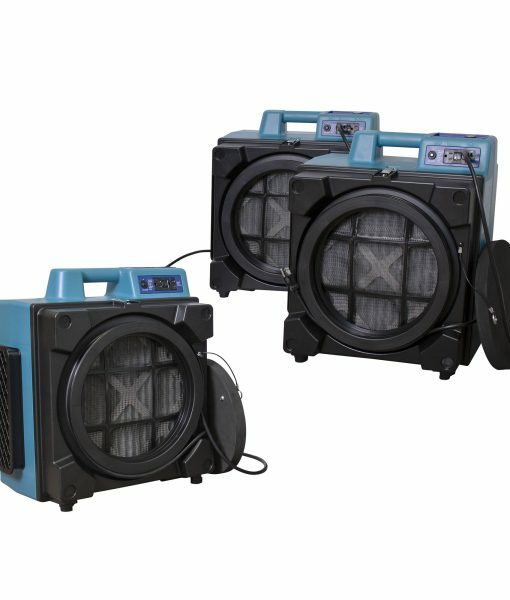 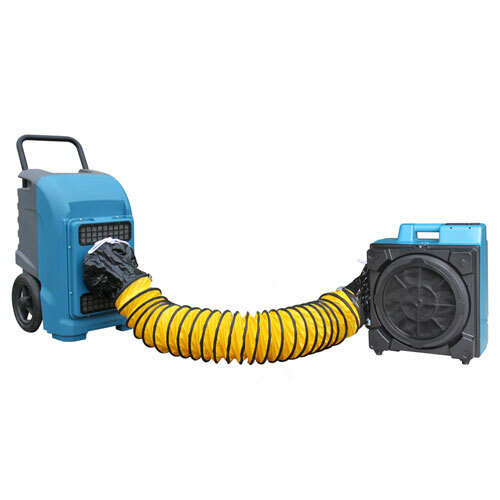 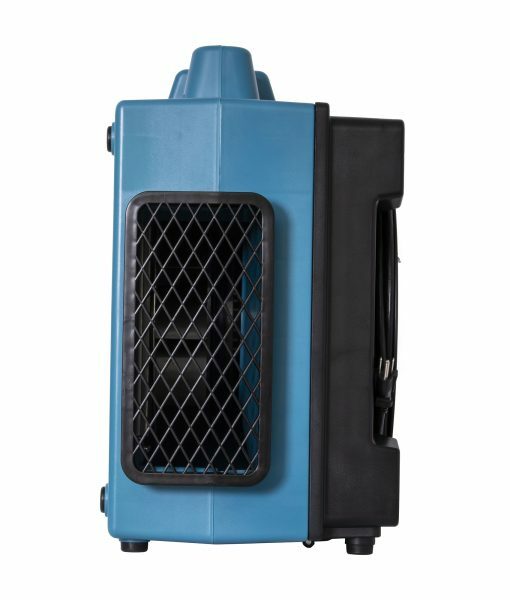 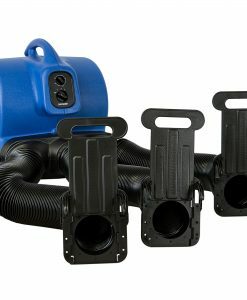 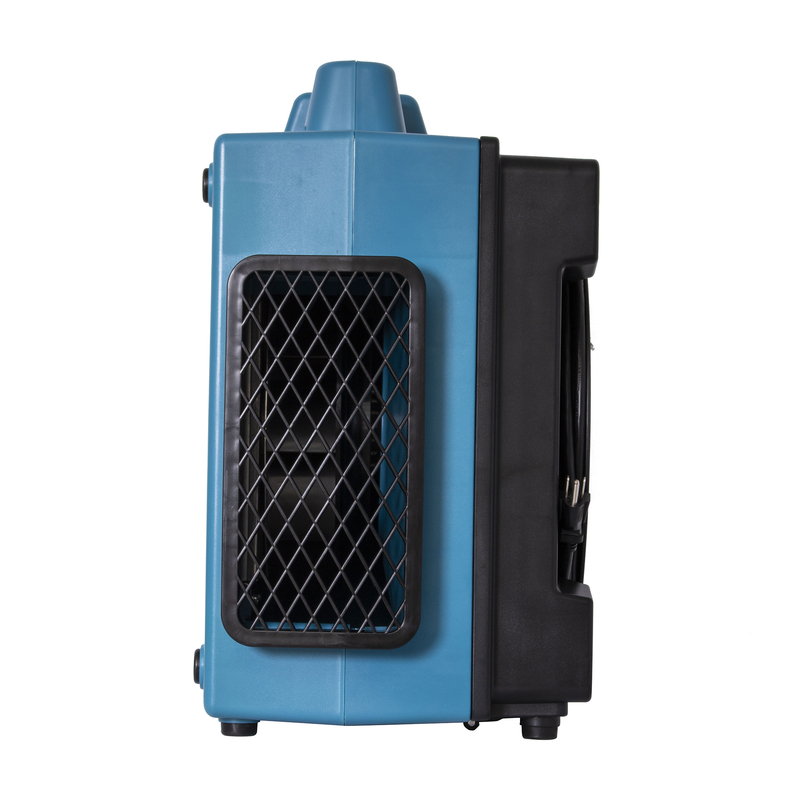 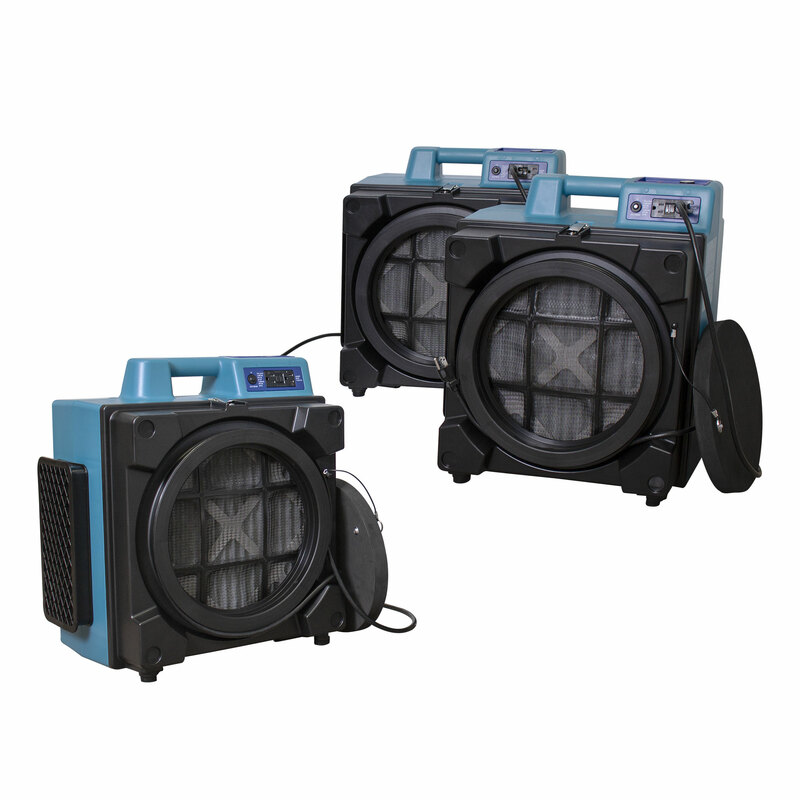 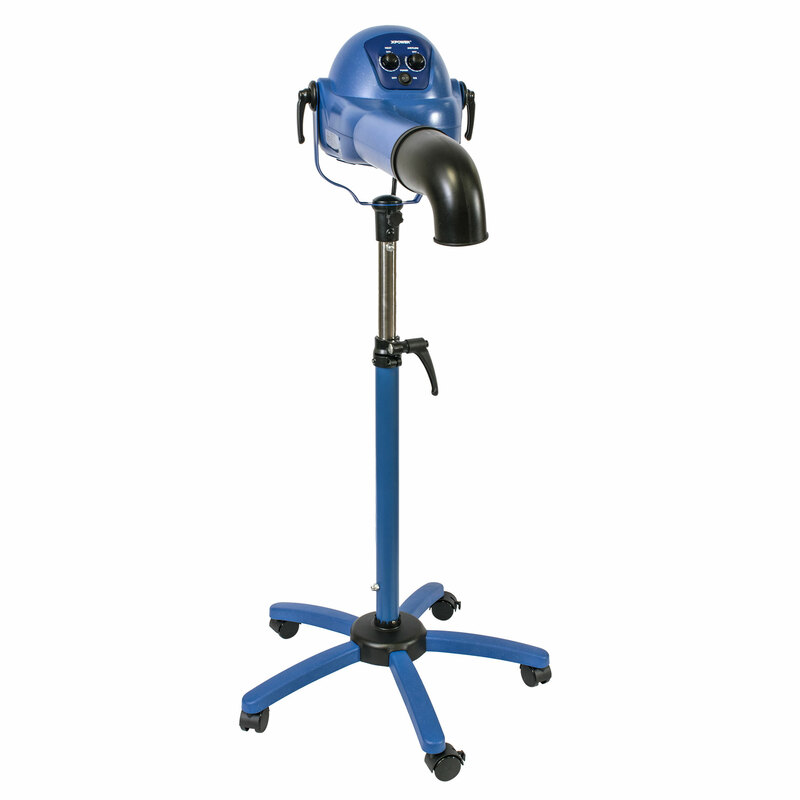 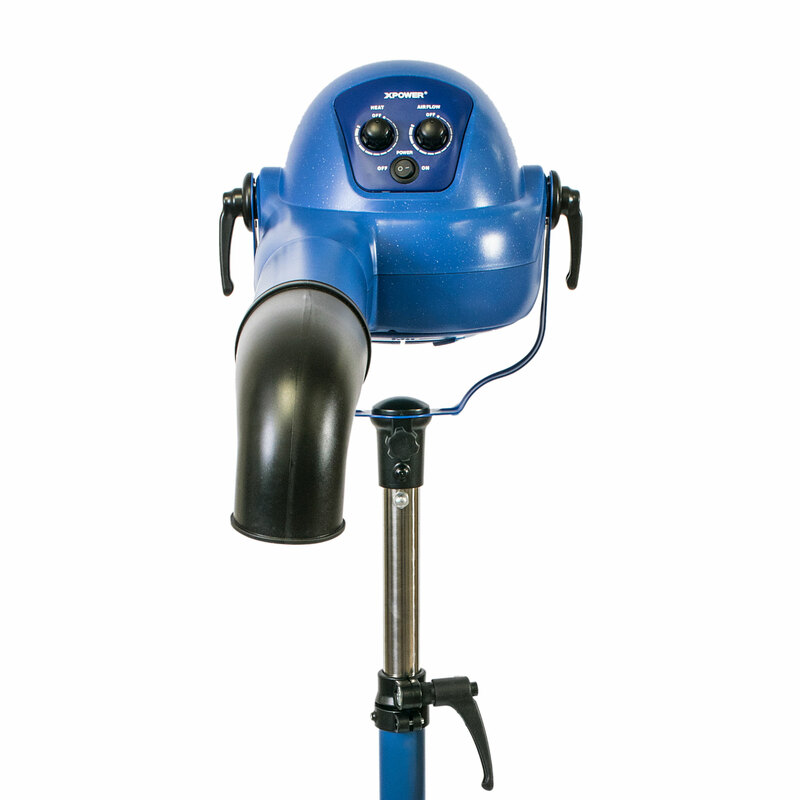 The compact and lightweight design is ideal for water damage restoration, mold remediation, and a variety of construction applications. 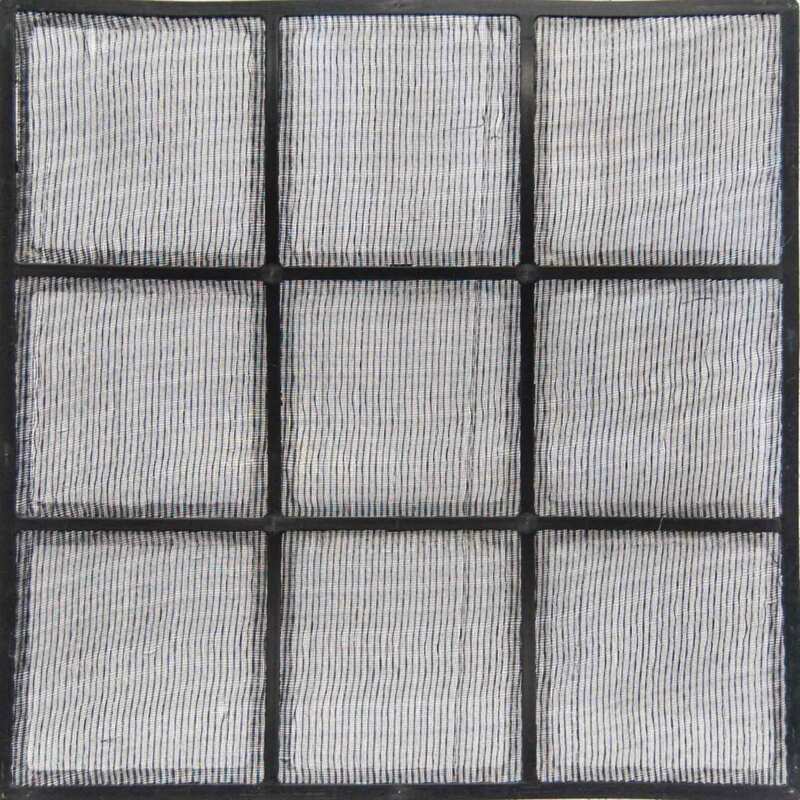 An optional Activated Carbon Filter is available in remediating smoke damage caused by fire, neutralizing pet odors, and other noxious gases.